Five days ago, we touched down late in the evening in New Delhi, India almost 20 hours after leaving Australia. It was a long day of travel that we had behind us, and we were looking forward to crawling into bed. I’d done everything that I knew to do to make sure things went smoothly on our arrival. After an hour or so (of messing around) getting sim cards, we prepaid for our taxi and headed out to the pick-up location so we could get to our hotel. Perhaps if I’d been a bit less tired, I might have clued into the fact that our taxi situation wasn’t quite right from the beginning… I might have trusted that twinge in my gut over the strong, sleepy desire to get to our hotel to rest. We managed to get ourselves into a taxi that had no intention of taking my family to our hotel. We were taken for a ride, and it was a ride from hell. Only after 2 hours of progressively turning ourselves into the “bug that is so distasteful that it needs to be spit out’, were we brought back to the airport as we requested. By the time I found the taxi counter, I was that scary form of numb calm… It’s a calm that looks tired on the surface… but covers up a disappointment in humanity so deep that I can’t feel the bottom of it… and a rage so strong at what my family had been put through that I wasn’t sure that I could allow myself to feel it. 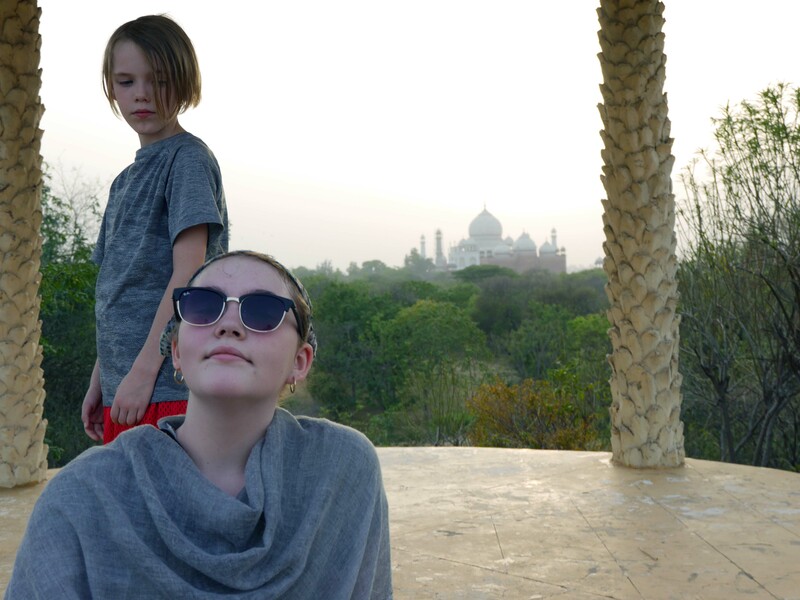 The only reason I did not buy tickets to get my family out of India at that moment was because there weren’t any ticket counters open (and our SIM cards weren’t working to buy them online…). As I was explaining the situation to the attendant I had booked the taxi through originally, another couple heard what was going on. I experienced some kindness over the next few minutes that made my eyes well up with tears, and close that growing chasm of disappointment in humanity. This couple managed to get our hotel in touch with the taxi counter, provide complete clear directions to the hotel, and get all of our fees for the taxi trip refunded to us. What they said to me was… “I cannot stand that someone came to my country and was treated this way…” I don’t know their names. They did not ask for a tip. They were decent, caring, human beings. How they treated me, and what they did for our family – is the gold standard of how we should treat visitors and newcomers. As much as I hated what my family went through that evening, I am grateful that “angels” appeared to help us. I’m grateful that some faith in the decency of humanity was restored. I’d like to say that the cab ride from the airport was the only time that someone targeted us, and tried to take advantage of us in our time in India – but it wasn’t. Daily, we steer our way through dozens of people who we feel see us as potential $$$, and not as human beings. That is hard to be with… and I can see that it is changing how and who we are being too. We expect ourselves to change as we travel. In fact, we would be disappointed if that didn’t happen. But, when you start to see yourself changing into someone you don’t like so that you can adapt to a place… maybe that place isn’t for you. It is ok to move on. Oh my goodness Kay! As I read your post with increasing dread I felt sick for you all. It must’ve been terrifying. Thank goodness for that lovely couple in the airport. I’m sorry that your time in India has not been pleasant but as you so eloquently put it, it is an education. I’m so glad you are all safe and I look forward to the next post.